Alice was appointed senior vice-president and chief corporate officer of Cameco in July, 2011. 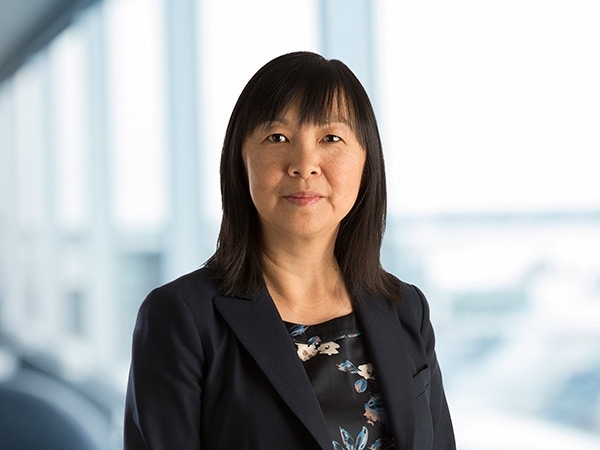 She's been with Cameco for more than 30 years in increasingly senior leadership roles and has gained a wealth of experience from her diverse responsibilities. As chief corporate officer, Alice currently provides executive oversight for human resources, safety, health, environment, quality, regulatory relations, business technology services, supply chain management, internal audit and corporate ethics. Her portfolio has included a number of different areas including corporate responsibility, communications, community investment, government relations and investor relations. Prior to this, she was vice-president safety, health, environment, quality and regulatory relations (2008 to 2011). She led the company through an increasingly complex regulatory world while ensuring the company’s SHEQ processes and systems received the focus required as they underpin our goal of operational excellence and enhanced communications and relationships with the company’s regulators. As vice-president investor, corporate and government relations (2005 to 2008), she was responsible for managing Cameco’s communications programs and guiding the company’s efforts in building and enhancing relationships with its major stakeholders. In addition to these vice-president roles, Alice has experience in marketing, corporate development and strategic planning. Before coming to Cameco (and one its predecessor companies, Saskatchewan Mining Development Corporation), Alice held part time positions as a sessional lecturer at the University of Saskatchewan, an economics instructor at SIAST, a CRA auditor and a marketing consultant for a small, local organization. Alice currently serves as director on a number of boards: SaskEnergy (human resources and safety committee), Mining Association of Canada (executive committee and community of interest advisory panel), Canadian Nuclear Association (executive committee, as well as chair of governance, human resources and compensation committee), and Saskatchewan Mining Association (chair of human resources and compensation committee). Alice is also a member of the U.S. Nuclear Energy Institute Communications Advisory Committee. She has also served as a board director of the Uranium Producers of America and as a member on various committees for different organizations including the Northern Advisory Board of the International Centre for Northern Governance and Development, the World Nuclear Association, Uranium Saskatchewan, and the Canadian Standards Association. The focus of the committees ranged from nuclear communications, nuclear standards and uranium market analysis. In 2012, Alice was named as one of SaskBusiness's 2012 Women of Influence. She is a former mentee in Catalyst's Women on Board Mentoring Program. In 2018, she was named a Diversity 50 Board Ready Candidate by the Canadian Board Diversity Council and an Alumni of Influence by the University of Saskatchewan’s College of Arts and Science.